10 days to pack up 12 years. That's right, we got approval from the bank and it's all systems go. The people that are buying the house wanted to move up the closing to this week, but we simply couldn't do that. It would be impossible. So we move on January 27th instead. We found a cute house to rent that is just a couple streets away. My husband Tim and I are freaking out a little, but we're excited too. This is happening. The next chapter. The adventure. Okay, I can't wax poetic right now. Do you know how much packing I have to do? Remember I suffer from a minor hoarding disorder. In the meantime, check out my new favorite running song. It's different. Not an angry rapper. But I love it. It's Damn Good Music. And I don't run to this, but I love it. It's good f-ing packing music. But really at this point all of it has to be good packing music because that's all I'm doing. 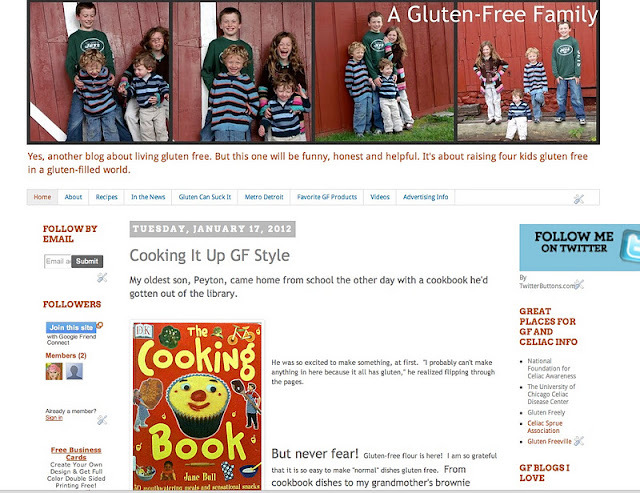 And check out my other blog, A Gluten-Free Family. I am slowly learning to make some gluten free stuff from scratch. And if you feel so inclined and you are on Twitter....follow me at @angelaYBlood. Because even though I have a lot of packing to do, I will be tweeting. Priorities people!